Gmail tools are the best among many Free and Paid solutions when it comes to in-team collaboration! Of course, some do provide an awesome set of features too. Despite all these, most people now prefer to have everything in their inboxes. Gmail is providing the best email service and integration with other Google products. In our previous post, we had told you some cool Gmail tricks and tips. But, would not that be awesome if you can convert Gmail into an awesome Collaboration Tool using the Gmail tools? It’s a fact that Google Mail does not have many features for multi-user collaboration. However, there are some third-party services that let you collaborate. Using these services, you can bring in your team to your Inbox and get tasks done in no time. In this article, we have a collection of some cool Gmail tools you can use with Gmail. So, can we start? Not all these tools may be useful for you, but you can at least pick one from the list. First in our list, we have Missive! It is a service that brings team conversations and team emails into your Gmail inbox! If you use a Mac, you can download the official email application from Missive. Using the application, you can bring a lot of team-based actions into your Gmail inbox. During the installation and setup, you need to connect your Gmail inbox and invite your team members into Missive. If that’s done, you’re ready to roll with Missive. And, there are many instances to use it. Suppose you are composing a business email and needed to proofread it! Instead of mailing it to the proofreader, you can mention him/her in Missive. Then, at the same time, the proofreader can edit the email and make corrections. And, you’re ready to rock with that email. Likewise, you can create in team chats as well. For instance, when you receive a complaint email from a customer, you can talk to the corresponding team, whereupon they can deal with the issue. Missive has options for sending attachments, photos, private messages etc. Altogether, Missive is an awesome way to turn your Gmail inbox into an awesome collaboration. Even while using Missive’s app for email management, you won’t miss a single email, everything is synced on time. Missive is still in beta, but you can go for its free or paid versions for more features. And, the UI is so simple to use. In the above solution, you needed to leave your Gmail inbox to be productive. However, in the case of Hiver, it’s done in your inbox itself. Thankfully, Hiver offers an awesome Chrome Extension that can be installed in seconds. Once installed, you’ve to set things up to get rolling. After you have set up, you need to create a Shared Inbox in your Gmail account. Then, you can invite your team members to Hiver. If you are ready with all these, you are ready to collaborate with Hiver. Next time you open an email from Gmail inbox, you can see a sidebar on the right side. There, you can decide whether to add the email into your Shared Inbox. Once you have added to Shared Inbox, it will be visible to your team members. And, the best part is that you can assign the task to the corresponding team member. All these actions can be done from the simple sidebar you see on the right side of the page. In short, instead of creating tasks out of emails, you can assign emails to members of your team. 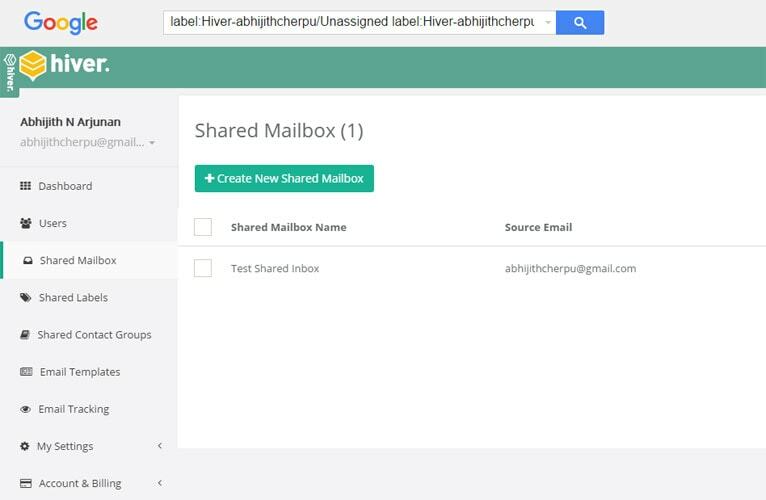 In addition to collaboration, Hiver gets you Shared Labels, Shared Contact Groups and Email tracking feature. When you are composing an email, you can use ‘Send-Later’ feature of enable Email Tracking. Hiver has both free and paid versions. In the free version, you can have up to 3 users only. If you have a bigger team, you can consider premium plans, which starts at $6 per user per month. Needless to say, it’s the new tool of managing emails in a revolutionary way. Collaborative Gmail Inbox is what keeping promises to offer. Suppose you are a firm that provides email support. Then, it is possible that you will have many tasks to deal with. In such situations, Keeping proves to be really helpful. The one and only requirement is that all your team should be using Google Chrome for management. First of all, you need to sign up using your email address and company name. After you have installed its Chrome extension in your browser, you can add an inbox to Keeping. From the next moment, all the support emails will be available in your Gmail inbox, from where you can easily manage them too. While Gmail inbox is enough for task management and all, it is offering a fully-fledged dashboard for Keeping management. You have different tabs to view support emails and can create tickets quite easily. And, the next time you assign a support email to someone in your team, you can add an additional note as well. So, if you are struggling to deal with the customer support emails and tickets, Keeping is the best collaboration tool you’d get for Gmail. It should work fine with your common Gmail inbox or Google Apps inbox. The best part is that isn’t necessary to use a Gmail account as the support email. It’s just about forwarding the emails to the Keeping email you get. It does not offer a free plan. The basic plan of Keeping starts at $15 per month, where you can have one shared mailbox and up to three in-team users. Do you receive a lot of emails with tasks to be completed? Do you have trouble managing all those emails effectively? 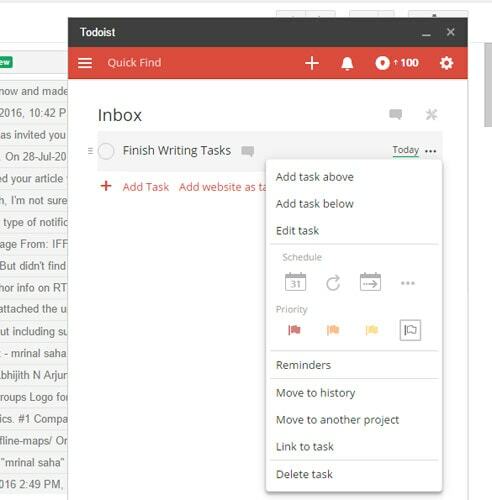 If that’s the case, Todoist is going to be an awesome collaboration tool for your Gmail inbox. Unlike the other tools in our list, Todoist is available for a wide variety of platforms. Its apps can be used in Web, Android, iOS, OS X, Windows, Chrome, Firefox, and Email. So, all your tasks can be synced between different devices. Here, however, we are talking about Gmail aspect of Todoist. Using Todoist is too easy. First, you need to install the Gmail plug-in for Google Chrome. The next time you open the Gmail inbox, you can see a small window named ‘Todoist’ in the right side. In seconds, you can log in and set up your Todoist account. Basically, Todoist is meant to help you manage your tasks efficiently. In addition, you can get some collaboration and sharing features too. You can share your projects or assign some sub-tasks to the team members out there. You can create sub-tasks and sub-projects as well. On top of everything, Todoist has an ultra-simple UI, which everyone would be loving. In short, Todoist is your gateway to efficient task management. If it isn’t for collaboration and stuff, Todoist will help you manage your own tasks well that too, from your own Gmail inbox. Don’t these sound that great? There are additional features with premium plans. So, we’ve gone in-detail into the four collaboration tools mentioned. Nevertheless, there are some other tools that are very useful for Gmail productivity. We shall have a look on those services. Google Drive is, as you know, the official storage service from Google. It also offers some features for document creation and collaboration. In case if you did not know, Gmail has an in-built option to integrate Google Drive and files. 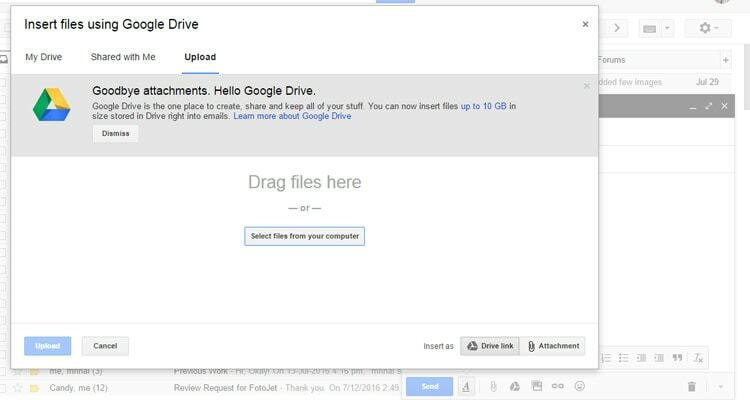 Suppose you are composing an email and you want to attach a document from Google Drive. You can click on the Drive button and choose the desired file. You have two options available – send the actual file or invite a user to edit the file on Google Drive. Either way, it’s a great deal of productivity. Gmail to Trello is a free Google Chrome extension you can use with your Gmail inbox. It’s useful if you are using Trello for managing tasks in your team. 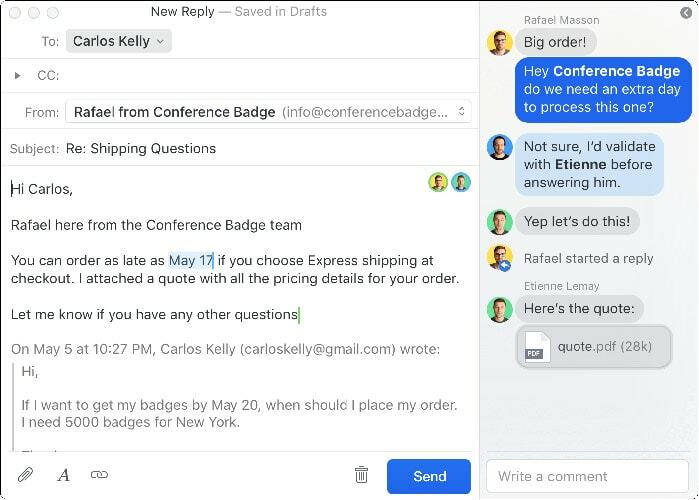 Using this extension, you can convert emails to Cards on Trello. So, you can get rid of the task of copying and pasting the same text. So, it’s an awesome service you must use. Google Groups is another way to bring your entire team into one place. 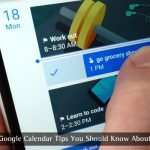 You need to create a Google group and invite your team members into the group. There, you will have a cool platform to discuss your tasks and have one better communication chain using Gmail emails. 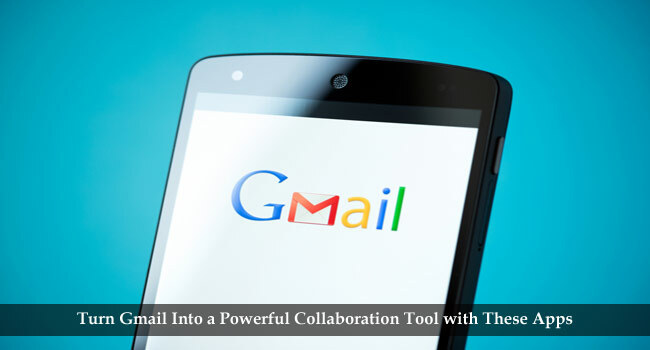 So, these are the superb Gmail tools for collaboration that you can find for your Gmail inbox. We have covered four tools in detail and given an overview about three miscellaneous collaboration options. Obviously, each tool has its own features and limitations. For instance, if you are into Help Desk management, the best option is Keeping. On the contrary, if you need to manage your own tasks and have a bit of collaboration, we will recommend Todoist. At the same time, Hiver and Missive has their own peculiar features. So, make sure you choose the most appropriate from this list of Gmail tools for you. Well, I never used these services before, but thinking to give a try to all of these. All these are very new to me. I love to try them in practical. I will be implementing this definitely. Thanks for sharing something new and helpful. Look like good services. Thanks for mentioning them. I’m going to try at least Hiver. Good luck Marc, also, let us know did you like it or not.